إذا كنت تبحث عن فندق بموقع جيد في المدينة، فقد وجدت ضالتك في فندق ماكينزي كانتري . يقع مركز المدينة المثير على بعد 0.8 km فقط. يوفر الفندق بفضل موقعة الجيد وصولاً سهلاً إلى أهم معالم المدينة.
. إن الخدمات التي يقدمها فندق ماكينزي كانتري تضمن للنزلاء إقامة مريحة. يمكن الاستمتاع بمجموعة من الخدمات على أعلى المستويات في الفندق كمثل مرافق مخصصة لذوي الاحتياجات الخاصة, تخزين الأمتعة, واي فاي في المناطق العامة, موقف سيارات, غرفة عائلية. تنعكس أجواء فندق ماكينزي كانتري في غرف الضيوف.تلفزيون بشاشة مسطحة, سياسة التدخين - غرف لغير المدخنين متاحة, مكتب, شرفة/ تراس, اتصال لاسلكي بشبكة الإنترنت (تطبق الرسوم) هي بعض الميزات الموجود في العديد من الغرف. كما أن مجموعة الخدمات الواسعة الموجودة في الفندق لضمان راحتك تترك لك الكثير من الخيارات لقضاء وقتك أثناء فترة إقامتك. يشكل فندق ماكينزي كانتري بخدماته الراقية وموقعه الممتاز، قاعدة مثالية للاستمتاع بإقامتك في المدينة. Intended to visit Aoraki / MT Cook but no reasonable accomodation was available over there. Stayed here as an alternative option which turned out to be quite good. Like an old hotel, very spacious with two queen beds inside. My room on the ground floor was open to a park which was nice. Tea and coffee were plenty. However the wifi was slow. I have eaten in the in-house restaurant but a good restaurant Poppie was virtually opposite this hotel. We were traveling on a road trip and spent a night here. The room is kind of old and as this is motel you can't expect too much. Wifi not available, which is a pain for us as traveler. Not a luxury hotel but if you are looking for some place which is value for money and just spend a night during your road trip. This was not a bad choice. We were happy with our stay here. Clean, nice big room. Friendly staff, ample parking, close to town. Just wish it had an elevator as we had a lot of bags and on 2nd floor. 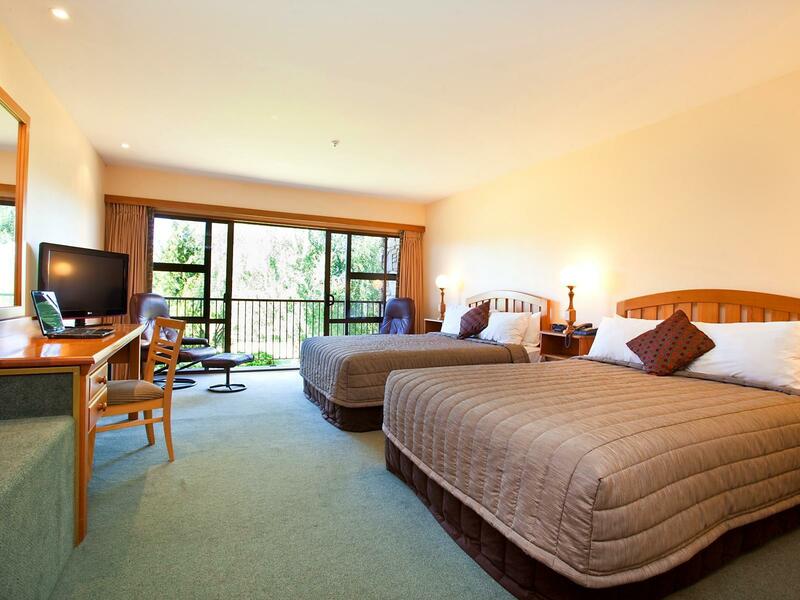 The room is big and the beds are big and comfortable too. The garden view is very nice. There are huge pine cones and trees in the garden. The hotel is quite old. The soundproofing of the walls are not that good. You can hear people talking in the next room and also people walking in the corridor. I used the guest laundry and find that the dryer is good. The dryer is able to make all my clothes totally dry when I took them out of the dryer. Hotel was clean but decor very dated and a sea of pink. Beds were comfortable but sheets were very scratchy and sheet had hole right were my feet were so irritated me all night . Very long corridors which took ages to navigate to restaurant . Buffet breaky was very well stocked. Ok for a one night stay. My stay was okay. Booking online was a huge challenge. Suggest if you're traveling with small children to call the hotel before agreeing to pay a huge extra price for bringing kids. We saved $200 by calling. we were on a road trip and spend a night here. the hotel is kind of old however, the rooms were kept clean and tidy. wifi not available in the hotel, a big disadvantage. the location was not bad, not far from the town center. so over all i will say it's very good value for money. not a luxury hotel, but if you are just looking for somewhere to spend your night on a road trip, this is not a bad choice. Everything was great, cant complain about anything, stayed one night arrived at supper time, had dinner at the lodge, breakfast was included. Large groups were checking in at same time, not a problem. All good. We really enjoyed staying here. 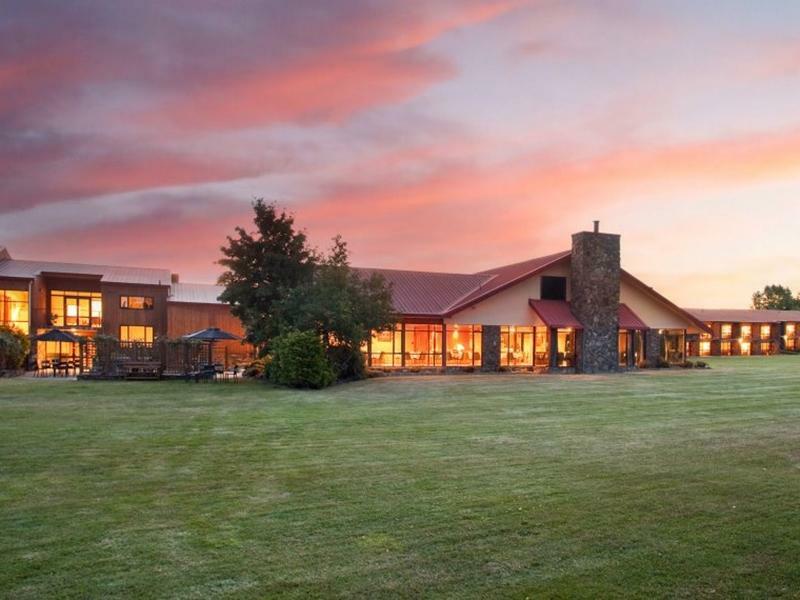 Lots of group tourists seem to use this hotel when they travel between Queenstown and Christchurch. Our kids enjoyed playing in backyard of hotel. Also, there is one good restaurant where you can have breakfast, lunch and dinner. Also, you can walk to the city center given Twizel is really small city. Interior is a bit old but it is OK given most people stay here for only 1 night, I guess. If you travel between QT and CC, this hotel can be a place to stay on the way. It's a old hotel at a very good location. It needs modernization to justify the rate they are charging. Photo's deceive when one is booking online. clean and good location, full service dining a bonus. Comfortable stay, nice breakfast, and spacious room. There are not many hotels in this area and this one is probably one of the best hotels to stay at. It's about 50km from Mt. Hook. 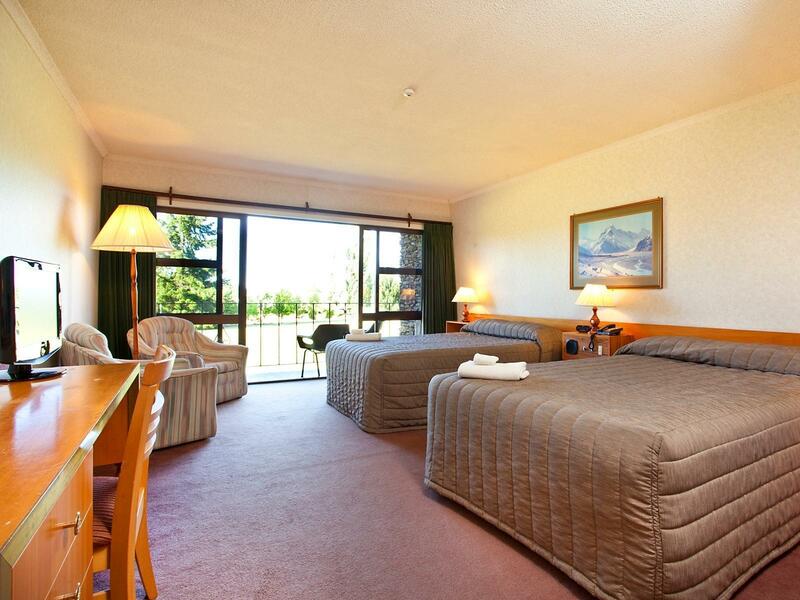 It was the last room left in Twizel when we tried to book a room for New Year Eve night. It looks old and dirty. No mini bar, TV and air con. Only 2 beds and a bath. It cost more than $170, which cannot be justified. The reception lady is very friendly though. Hotel was easy to locate and room cleanliness was satisfactory; However, heater was faulty and hot water was cut off halfway while showering. Heater was a little faulty as well. There was also a cat in the hotel which I felt wasn't appropriate as it would affect cleanliness and guest's rest.